Good beer selection. Not oversaturated with IPAs, they had a plethora of good Belgians. Thank you so much! Great place! Very convenient location, generous selection and competitive prices on liquor, beer and wine. Thank you for the Nift GC!! Great customer service and selection! Really impressed and satisfied with how welcoming they were and how seemless the transaction went. I will definitely be recommending and returning. Thank you!!!! Very friendly and accommodating! I will definitely return! The business was pleased to redeem the gift and service was very good. It's my favorite liquor store! Great staff, good selection of all liquor, lots of specialty beers! The staff was very friendly and helpful..everything was a bit more expensive then the store I normally go to but again everyone that worked there was very nice. 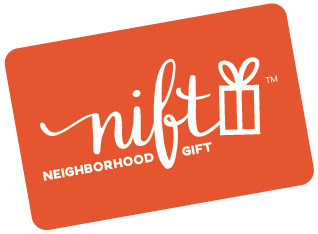 The Nift gift certificate was easy to use. Very friendly staff and great selection! The store is a little cluttered and there was no one available on a saturday night to answer my questions about selecting a red wine. Convenient location. Very helpful and welcoming! Helped me find the best value for exactly what I needed. Very nice wine selection. Salespeople are very helpful.